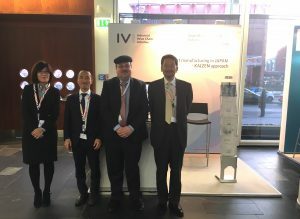 IVI published a specification document of Connected Industries Open Framework (CIOF) which deals with valuable data transportation between smart manufacturing units (SMUs). 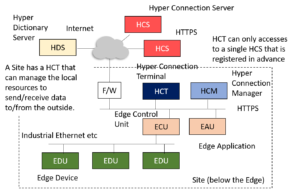 The CIOF contains hyper communication server (HCS), hyper communication terminal (HCT), hyper dictionary server (HDS), and hyper connection manager (HCM). 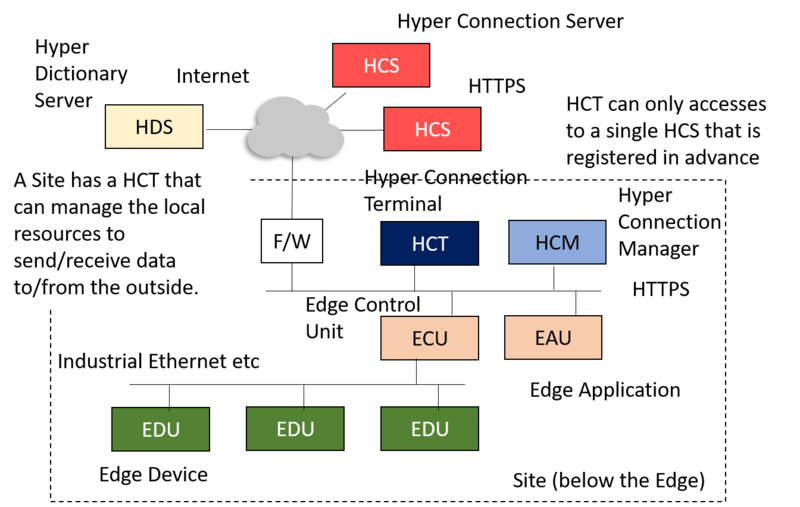 The project launched in July 2018 with FANUC, Mitsubishi Electronics, DMG MORI, and Hitachi supported by Japan Ministry of Economy Trade and Industry (METI) has developed a testbed prototype system for PoC. The results will be presented at Hannover Messe on 1st of April at 14:00 at Hall 8, Stand D17. 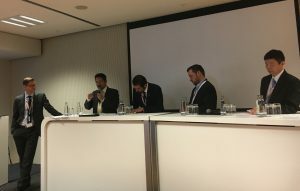 While the IIRA and RAMI have already been published in the past by the Industrial Internet Consortium, and the Plattform Industrie 4.0, respectively, it was felt that opinions and experiences from the Japanese manufacturing industries deserve to be expressed in terms of an own reference architecture, as a contribution to a truly global view on the most complex topic called Smart Manufacturing. 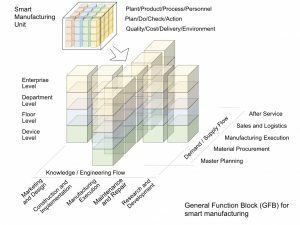 The IVRA provides three perspectives to understand manufacturing industry as a whole: The knowledge/engineering flow, the demand/supply flow and hierarchical levels from the device level to the enterprise level. 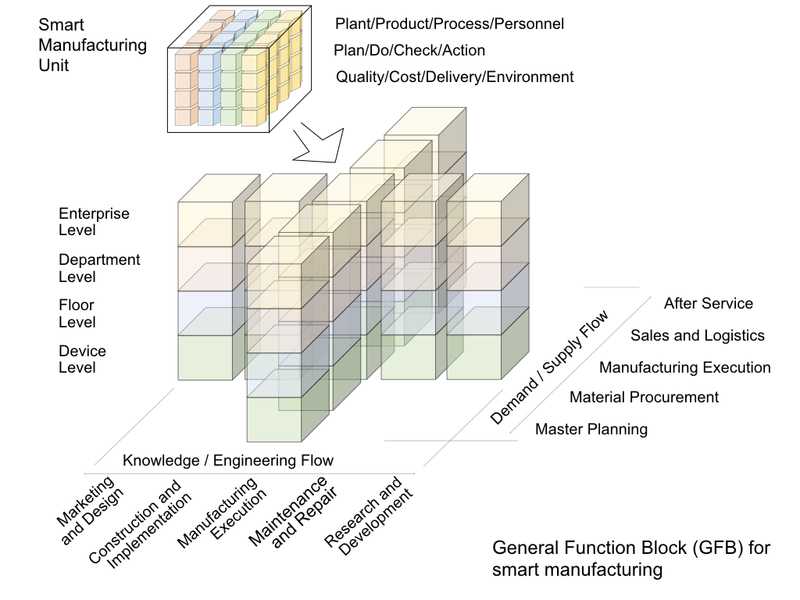 A key element is the introduction of Smart Manufacturing Units (SMUs) in a way that allows to smoothly integrate human beings as elements with their autonomous nature – paying tribute to the fact that it is the human being who discovers a problem, defines a problem, and solves a problem in many cases not only in the past, but also in the foreseeable future. Moreover, an approach to build an eco-system for Smart Manufacturing is also proposed. 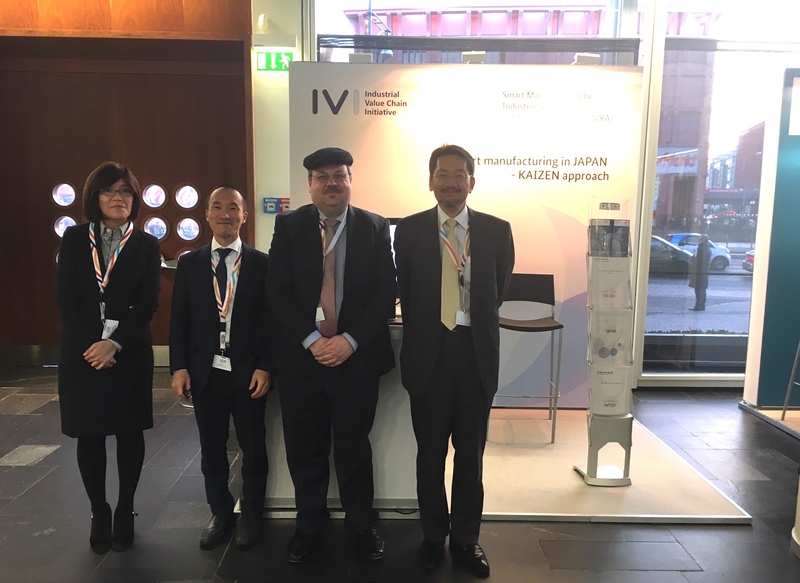 This year, IVI developed by size and density its activities including Business Scenario Workgroups, Platform Workgroups as well as establishing international relationships. We would like to continue informing you of our latest news.